Do you remember the chant “2, 4, 6, 8 – who do you appreciate”? I do – from somewhere in my distant past. I think it was a cheer when I was in high school. It isn’t the rhyme that grabs me, it’s the sentiment. At our most recent Board meeting, we talked about the government shutdown and its ripple effects. I’ve spoken with federal agencies that were affected. And, I’ve talked with nonprofits that geared up to meet the needs that arise even more starkly when those who live from paycheck to paycheck miss one of those. The Food Pantry kicked into higher gear and Project Hope saw an uptick in clients. The Board discussion made us look into some statistics . . . and I hope this grabs you. 78% of full time workers in America live paycheck to paycheck. One extra car repair, one emergency medical appointment or a missed paycheck can put those families at financial risk. In a winter like this, how do you choose . . . utility bill or groceries? I appreciate all our nonprofits – their staff members, boards and programs. They all care. They all serve. Ultimately, they do what they do out of love. And we all benefit. A year ago, the Foundation invested in a program to connect five small-shop nonprofits with fundraising coaches and software to manage their donor lists. One of the hardest parts of “fundraising” is finding the time to do it “right”. The intent of the Jumpstart program was for the nonprofits to raise more money for their programs by following a focused regimen for interacting with their donors – finding the time to further relationships. 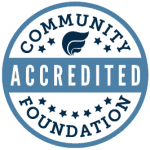 CFGV and Network for Good partnered to fund the majority of the program with each nonprofit putting a little skin in the game with less than $900 for a whole year of coaching and access to a plethora of additions materials. Free market coaches, like those in the Jumpstart program, charge anywhere from $100 – $250 per hour for their services. Under $900 from a nonprofit for 12 months of coaching, software and materials was a steal. As with most things in life, some performed better than others, but the total gain of dollars raised over previous years was significant. You know we assess what we do for impact. My favorite quote from the final reports for the Jumpstart Program is, “We ran two successful campaigns with higher goals than we had ever reached before. We attracted brand new donors. We communicated more frequently through our software. Our organization had to overcome major hurdles with our facility in 2018, which almost sank us. We wouldn’t have survived financially without Jumpstart.” Now, those kinds of words make my day! I appreciate the nonprofit Executive Director who felt safe enough to share that vulnerable statement. I appreciate Network for Good. I appreciate the nonprofits that worked so hard to learn new ways of interacting with donors. And, of course, I appreciate the donors who responded. On the personal side, think about it for a minute – who do YOU appreciate? Make a list. Now, find those special people and let them know what you value about having them in your life. I bet you’ll see a smile. And for you? It’ll feel so good! 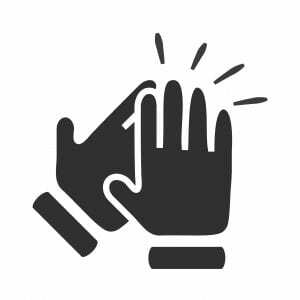 Expressing gratitude or giving thanks or saying, “I appreciate you” can lead to more positive thinking, which can, in turn, lead to more positive actions. Try it. It works. Donors: YOU keep our essential nonprofits in business and ready to serve. Thank you. Nonprofits: Tell your donors how much you value them. They appreciate you. Give them great impact stories and love in return. Community: Let’s come together for the common good. That’s what community is all about. I appreciate the caring nature of the Gunnison Valley.